1. A couple of pineapples to sweeten up your look. 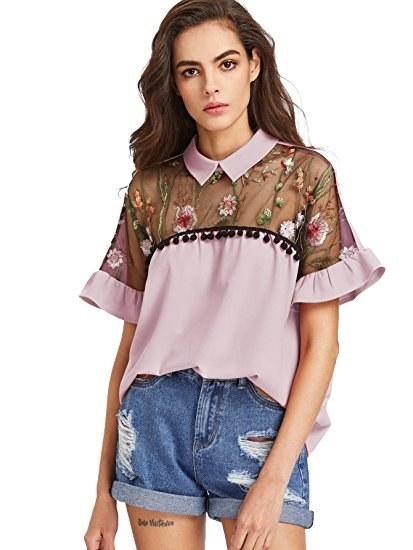 Get it on ModCloth for $49.99 (available in sizes XXS-4X). 2. A bold butterfly who'll set onlookers' hearts a-flutter. Get it on Unique Vintage for $48 (available in sizes S-L). 3. Some gorgeous embroidery that may be delicate but makes a big statement. 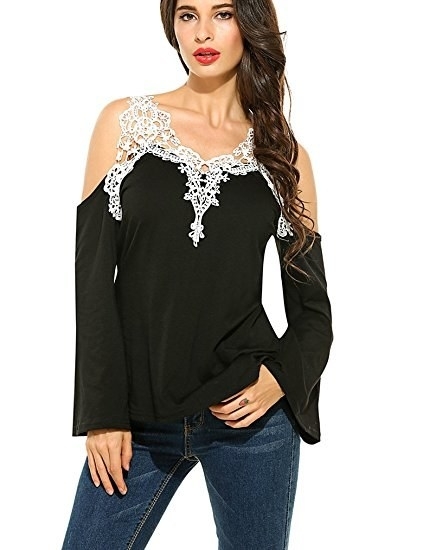 Get it on Amazon for $16.99+ (available in seven colors and in sizes XS-L). 4. A crochet collar as proof that you can keep your wardrobe all-black and still diversify. 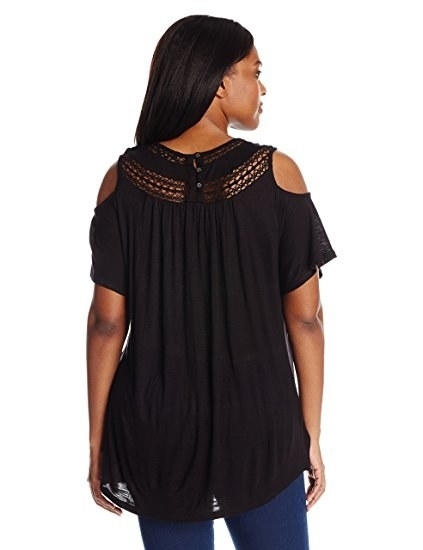 Get it on Amazon for $27.99-$59.50 (available in sizes 1X-3X). 5. A built-in leather choker for the person who's somewhere in between tough and feminine. 6. A head-turning crop top if you want an outfit that's really ~graphic~. Get it on Urban Outfitters for $49 (available in XS-L). 7. 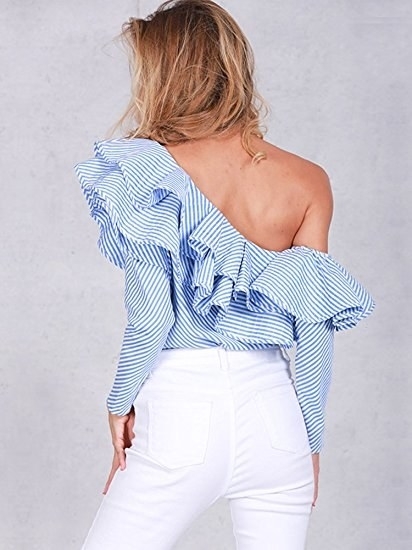 Some show-stopping ruffles so every moment of the day is a photo op. Promising Review: "This shirt is absolutely stunning! Amazing quality." —Tasheba Wilson. Get it on Amazon for $20.99+ (available in two styles and in sizes 0-10). 8. A becoming bow that'll stay *sweet on you* your whole nine to five. 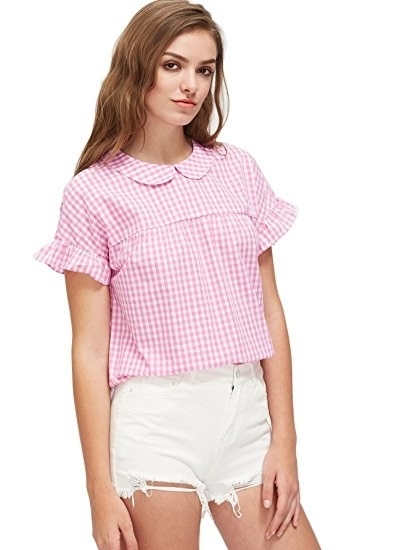 Get it on ModCloth for $44.99 (available in sizes XS-4X). 9. A sophisticated scarf if you know you're meant to be the next Jackie O. Get it on Asos for $54 (available in sizes 0-14). 10. 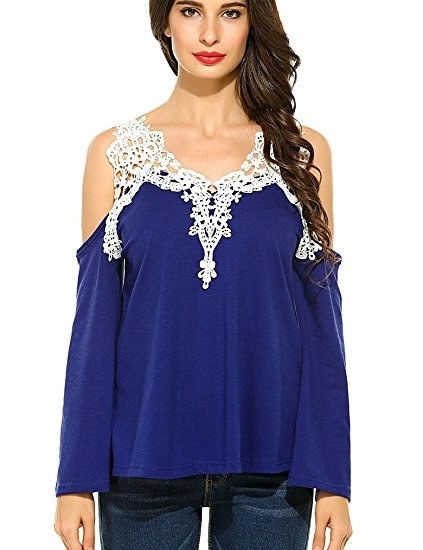 A trendy cold-shoulder top to prove that lace isn't always old fashioned. Get it on Amazon for $8.99-$14.99 (available in four colors and in sizes S-XXL). 11. 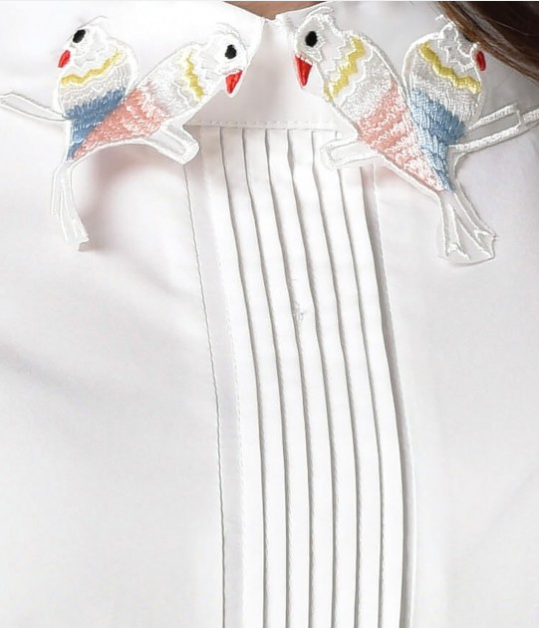 A retro button-down with a small flock to send you soaring. 12. 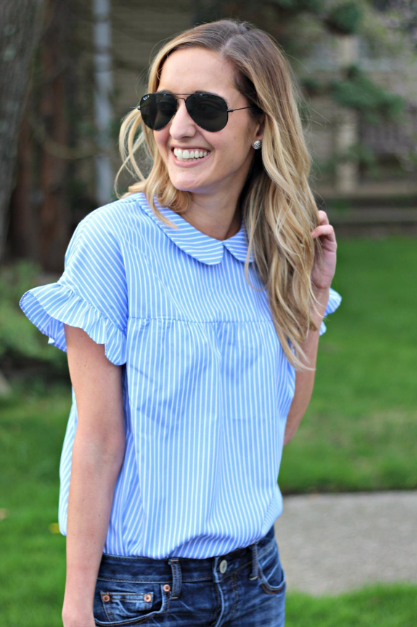 A simple and sweet Peter Pan collar to help you look put together, even when you are so not. Get it on Amazon for $14.99 (available in five colors and in sizes XS-XL). 13. Some watercolor florals as a custom work of art to showcase all summer. 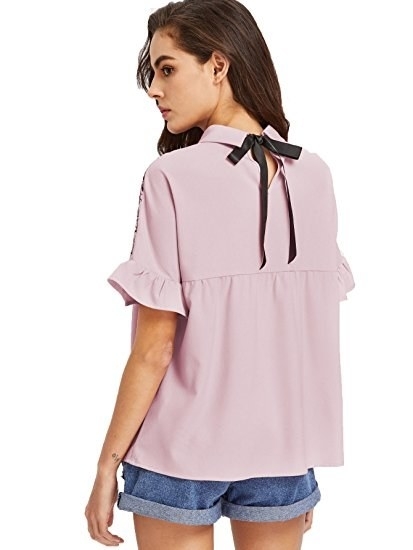 Get it on ModCloth for $34.99 (available in sizes XXS-4X). 14. A romantic halter if you want all frills but no fuss. Get it on Forever 21 for $48 (available in sizes S-L). 15. 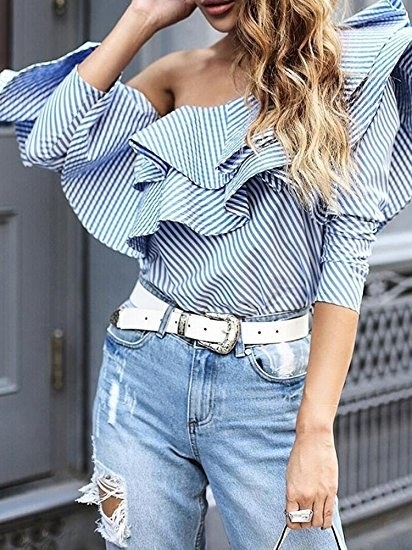 A vintage-look blouse in a ~tie~ between old-school and trendy. Get it on Unique Vintage for $38 (available in sizes XS-L). 16. An eye-catching V-neck that'll make you actually want to say "eyes down here." Get it on Anthropologie for $98 (available in XS-L). 17. A polished chiffon so you can at the very least look professional. Get it on Forever 21 for $35 (available in two colors and in sizes S-L). 18. A half moon and its stars to gravitate admirers. 19. A satiny tie for a good reason to turn your back to people. 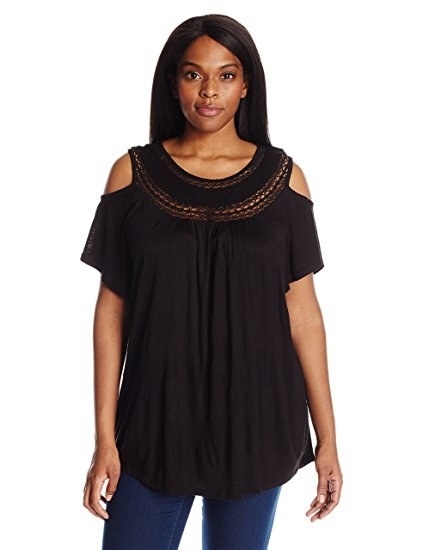 Get it on Forever 21 for $14.90 (available in sizes S-XL). 20. Some chic contrast as something you'll probably want to wear every ~Wednesday~. Get it on Boohoo for $26 (available in two colors and in sizes 6-12). 21. Some solid proof that simple white tops can still go a long way. 22. A zesty burst of orange so you're as scorching as the weather. Get it on Anthropologie for $98 (available in two colors and in sizes XS-L). 23. 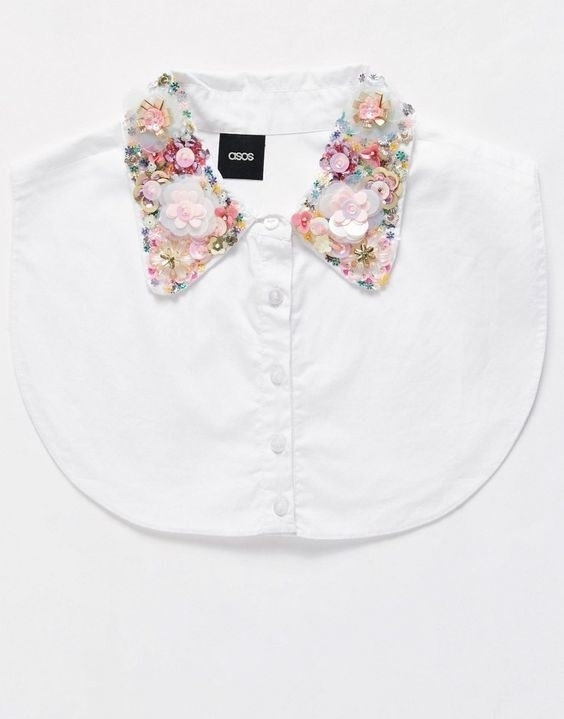 Plus an embellished bib as a sneaky way to update half your closet. Get it on Asos for $24. 24. 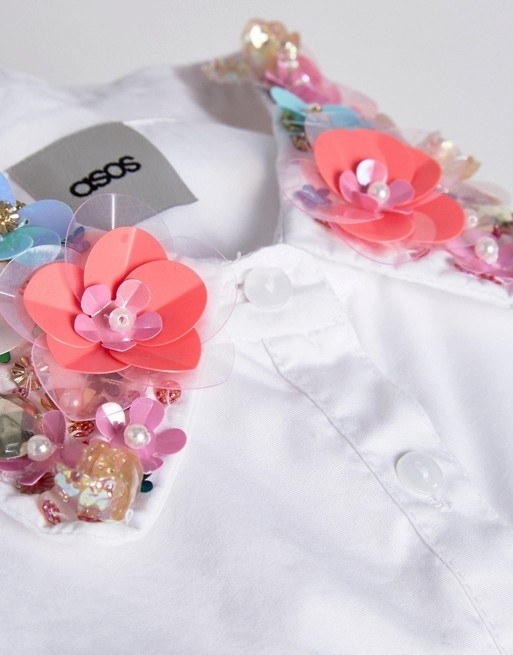 And a sequined collar so you can create countless new outfits for not even half the price. Get it on Asos for $7.50. I was not prepared for all this beauty.